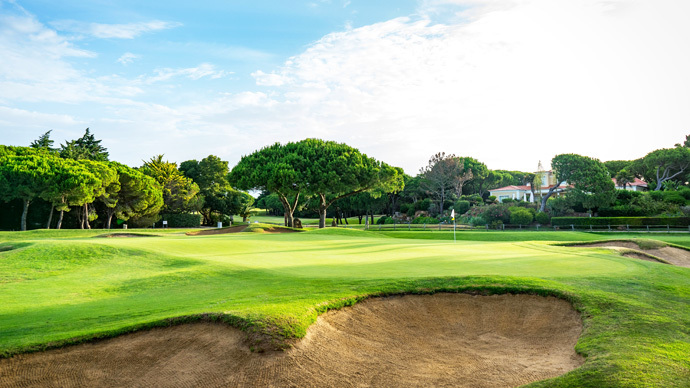 Located on the famous Estoril Coast, 25 kilometers from Lisbon, the Quinta da Marinha course was designed by the legendary Robert Trent Jones and is set in a private estate of 110 hectares, wooded with pine trees. 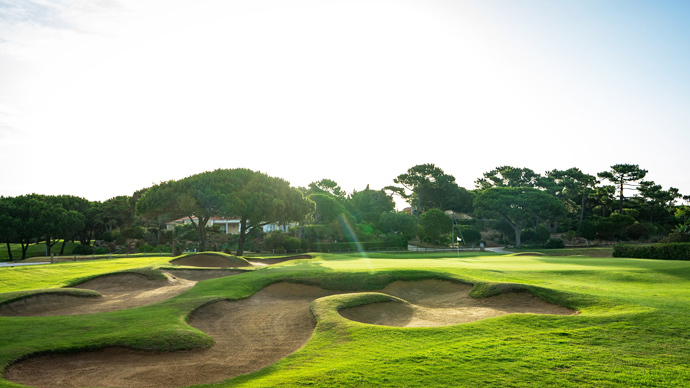 The architect has worked on the flat terrain, laying out the course over 5870 metres for a Par 71. 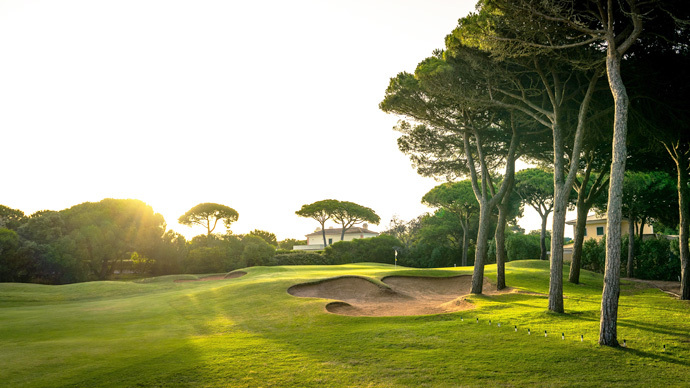 The most spectacular hole on this course is hole number 3, a Par 4 of 334 metres sloping down towards the sea. 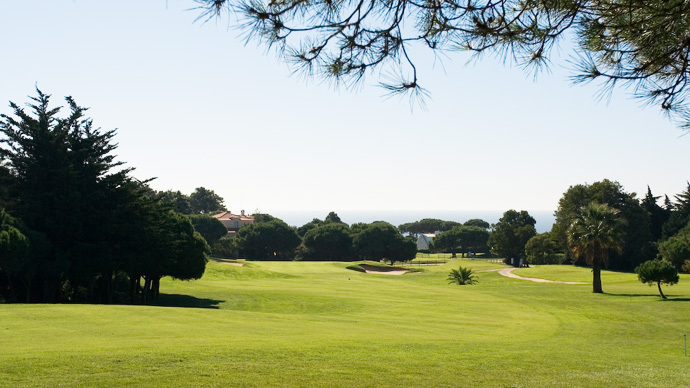 Once on the green, the golfer has the Atlantic Ocean as background. 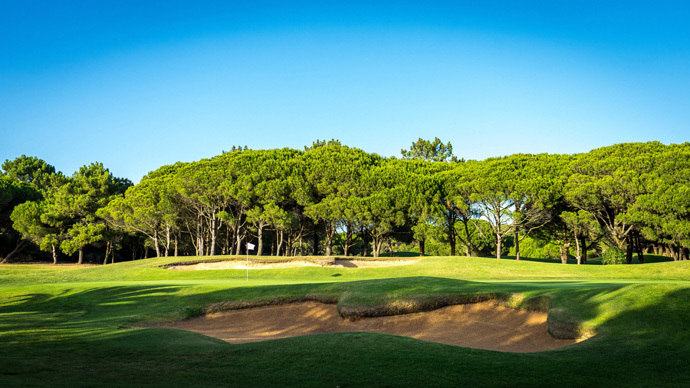 The whole of Quinta da Marinha's course is surrounded by beautiful panoramic views. 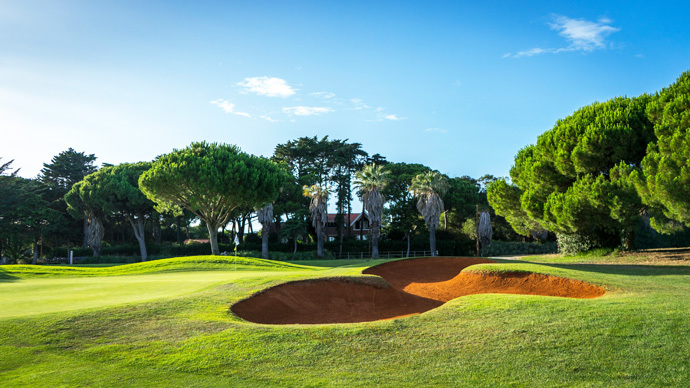 The following hole (a Par 3) requires a very precise shot for the ball to cross a cliff and reach a wide but not very deep green. 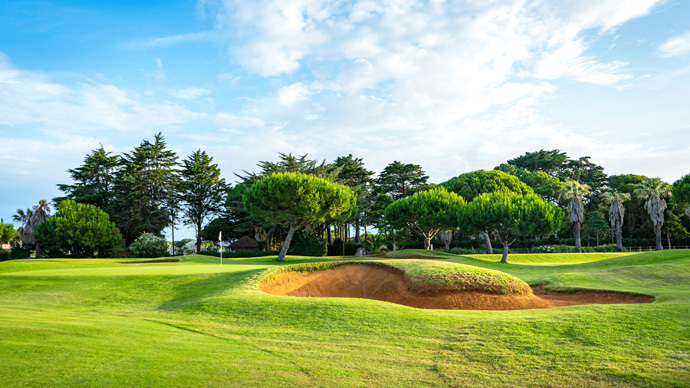 For most of the course, however, the fairways face inland with the beautiful outline of the Sintra mountain range forming their background. 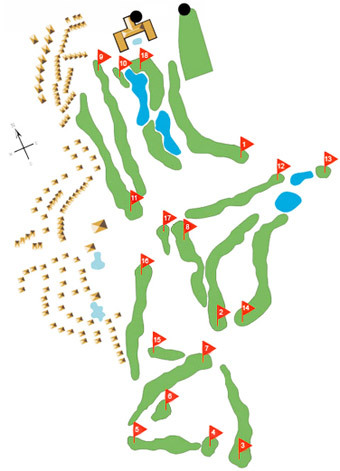 Many bunkers and a number of lakes make the player's task even more difficult. Hole number 10, for instance, has a green entirely surrounded by water. Leaving Cascais follow the EN 247 toward Guincho. About 500 metres after the petrol station turn right at the sign.